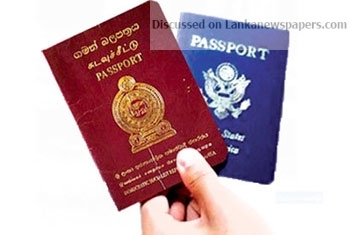 Sri Lankan expatriates are presently showing a keen interest towards obtaining dual citizenship, according to Immigration and Emigration Controller General Nihal Ranasinghe. He stated that they receive over 1,000 applications for this purpose every month and that applicants are only given dual citizenship and the applications are checked and approved by a committee comprised of officials from the Defence Ministry, Foreign Affairs Ministry and Internal Affairs Ministry. He stated that 800 applicants who have been selected through that process will be presented dual citizenship in the first week of July.